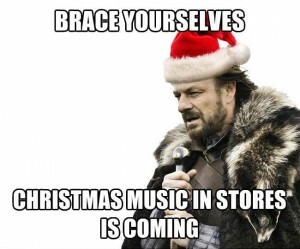 It’s that time of year when all you hear is christmas music everywhere you go. Most people love it, while others despise it. With christmas time comes the holiday smells, christmas music, hot apple cider and the best of all those department store sales. Department stores are fairly busy during the holidays because of christmas shopping so they do anything to draw the customers in as they fight the other stores. 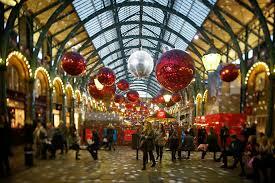 For me and my friends just listening to christmas music can put us in a good mood. This is because of the large amount of dopamine released by the brain when listening to music. I wanted to research and see if listening to holiday music can change your mood. In a study that I found while researching, scientists wanted to see the relationship between christmas music and scents and the attitude of the customers while shopping and how much they purchased. The alternative hypothesis of the experiment was that the christmas music and scents would increase the amount that the customers would purchase and make their shopping experience better. The null hypothesis of the experiment was that the christmas music and scents would not affect the customer’s experience and would not change how much they purchased. For an effective experiment the scientists set up a controlled environment. The sample included 140 graduate students who celebrated christmas. Before the contestants entered the room 3 christmas scents were sprayed. For the music the scientists starting played two cd tracks, Amy Grants “Heart in Motion” and “Home for Christmas”. These songs began playing before the participants entered the room that way they did not know it was part of the experiment. The dependent variables in the experiment were the retail store setup and its merchandise. The participants were let into the store in groups of 5-10. The data of this experiment concluded that when the scent was sprayed and the christmas music was playing it led to more favorable evaluation of the environment, it was overall more pleasurable for the customers. The scent had no effect at all when it was not paired with the music thus confirming the alternative hypothesis. The scientists discovered that when there was no music present but the scents were present there was less intention from the customers to visit the store. An example of a store that does this is Michael’s the craft store. During the holidays I would always remember that this store had the most potent holiday smell and they played christmas music constantly. It drew in many customers because the store was always crowded during the holidays. Christmas music can definitely affect your mood whether your shopping or just driving in your car. Here are some songs that will help get you into the christmas spirit if your not already there. This entry was posted in Uncategorized on December 1, 2016 by Grace Anne Walker. Ahh, the sweet, sweet sound of consumerism! Interesting blog, but I think you could explain how they came to their conclusion that Christmas music is more enjoyable. I believe this study had too many variables to conclusively say much about the effect of Christmas music. It’s great that you listed the null and alternative hypothesis! Personally, I hate the sound of Christmas music. However, there is certain music that I do enjoy. This article http://phenomena.nationalgeographic.com/2013/04/11/why-does-music-feel-so-good/ explains that when we listen to music, our brains release large amounts of dopamine. Basically, we remember the patterns of songs we have liked previously, and when we hear a new song that doesn’t match the prescribed pattern we remember, we get little enjoyment from the song. I suppose this is what happens to me when I listen to Christmas music! I am so glad I read this post, because I am one of those people who loves to listen to Christmas music all year long, so when the holiday season finally comes around, I get really excited. Due to this, I might be biased, but I completely agree that when Christmas music is playing in stores, I instantly get into a good mood, and naturally want to buy more items. While I understand the results of the study, and the method used, I do not think that the study itself was complete. As you said, they tested holiday scents, and music, vs holiday scents, and no music, to see which created a more enjoyable shopping experience. The conclusion of this study said that yes, holiday music and scents induced a more enjoyable experience whereas just holiday scents and non holiday music did not. Okay, but what about holiday music and non holiday scents? I think that conducting separate experiments for holiday and non holiday scents, and music would have been more effective. Currently, they have a lot of variables. Also, what defines a pleasurable holiday experience? What were the standards? Isn’t the term pleasurable relative? The term itself is a soft endpoint, which is difficult to measure; unless some biological indicator for pleasure such as dopamine levels are measured. Cool post I had never really though about that before. Of course when you are playing Christmas music you are trying to get people to do their Christmas shopping but I wondered what techniques were used at non-holiday times of the year. I found http://www.soundjack.com/blog/how-background-music-influences-shopping-behavior this article which talk about how different types of music( especially different tempos) affect shoppers during regular times of the year.